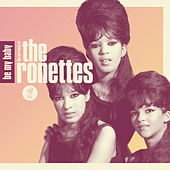 The Ronettes often get lumped in with the "bad girls" of girl groups, but they're more like hell-raisers with (broken) hearts of gold. This fantastic comp showcases the range of emotion and sensuality those flat, sweet vocals were capable of. Phil Spector's production bounces and echoes around the remastered tracks, ringing as true as it did in the '60s. But it's Ronnie Spector's purr -- at times seductive, at times plaintive -- you can't take your ears off. Bolstered by her sister Estelle Bennett and cousin Nedra Talley, she begs, pleads and demands her desires be realized. Is This What I Get For Loving You?